In June 1964, Sara and Carlos Liberman immigrated to the United States from Chile with their four young children who were between the ages of 5 and 13. The Liberman family arrived with small capital, very little knowledge of the English Language, and and eagerness to work and prosper in this great country. Six months after arriving in the United States, all of the children spoke English. In order to preserve their culture and their language, only Spanish was to be spoken at the Liberman home. To get by, Carlos and Sara Liberman invested all their money in a newspaper stand in Downtown Los Angeles that required to be open 24 hours a day, 365 days a year. By working extremely long hours, the family earned barely enough to keep the house and pay for expenses. Three years after first opening the stand, the owner of the property decided not to renew the contract, leaving the family without capital and without work. Even with this obstacle, Sara and Carlos refused to give up on their dreams. In order to make ends meet, the Liberman family began selling clothing in open-air flea markets. Soon after, the family introduced selling electronics at the flea markets. During this time, electronics companies would refuse to sell their products in these types of venues for fear of ruining their prestige; so Carlos and Sara had to open up a small shop in order to get the products delivered. During these 5 years, the boys studied during the week and the weekends were dedicated to help the family in the swap meets. Working on the swap meet required a lot of sacrifice. The night before every day, someone from the family would have to have a loaded truck and wait in line. The swap meet opened at six in the morning, so every day the family went to bed early to ensure that they would have enough energy to sell. Tents were set up every morning, merchandise was organized and presented, and the boombox was set up in order to create an ambience. The days ended at 4:00PM, in which everything was packed and loaded up into the truck. Rainy days did not stop the Liberman family from going to the swap meet, they would wait in their truck hoping that the rain would stop so they could set up their stand so they could make whatever they could. These years were especially difficult for the family. 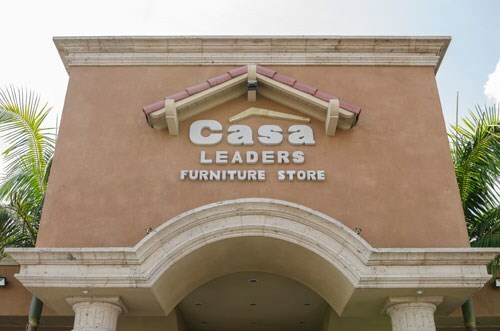 In 1975, the family introduced furniture to their stands and soon after that even financing was offered at the swap meet. It was a total success! 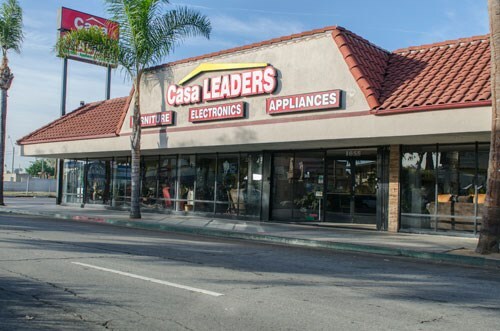 Sales were multiplied and it became necessary to open a store in the city of Huntington Park to receive payments and serve customers. By this time, the children were already young men with many of them studying in different universities to take advantage of the promise of this country. The promise is that the one who is willing to work hard and sacrifice can get ahead. The Huntington Park store was very successful and the family together opened three more stores. In 1979 they stopped going to the swap meet. After ten years of working in the store, the financial situation stabilized. The expansion of business required more capital. The children each took responsibility of their own stores and formed their own families. 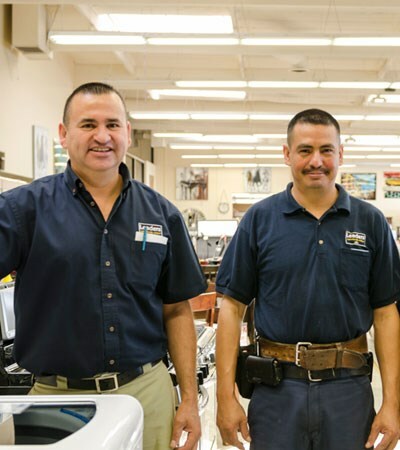 Currently, more than 500 people are employed in all the family stores.